Plan on spending about one hour for your initial visit to our office. You will be greeted by our warm and caring staff. We will ask you to fill out an initial case history questionnaire so the doctor can review this with you upon your consultation. Feel free to discuss your case history with the doctor in the privacy of our consultation room. After reviewing your case history, the doctor will recommend going forward with a spinal examination. If he feels your condition is not a chiropractic case, she will refer you to the proper specialist. We understand that feeling nervous about being in a new office and meeting a new doctor can be stressful and we will do everything in our power to make you feel relaxed and welcomed. Wear comfortable clothes and enclosed shoes, such as dress shoes or tennis shoes. After an examination you will be asked to schedule an appointment for the following day. If you are in a lot of pain on your initial visit, the doctor may treat you on that same day with a symptomatic adjustment. You may also be given instructions to perform at home that day, after your initial visit, such as resting, using ice or heat, etc. Also, if you have insurance that covers your chiropractic care, it is essential that you bring this information with you on your initial visit so our staff can verify your benefits, and determine whether you have a deductible and/or co-pay towards your care. We also accept personal injury cases. Reserve a few extra minutes for your second visit, also known as your report of findings. The doctor will review with you her/his findings from any examinations from your initial visit and will answer any questions you may have so you have a good understanding of your condition. 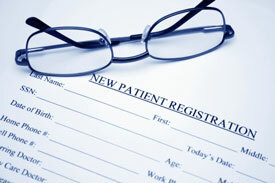 The doctor will also address a plan of care with options for relief, corrective or wellness care. We recommend that the patient’s spouse and/or significant other join them on the second visit so that they will have a better understanding of what is happening with their loved one. Once everything is reviewed and explained in detail, you will be given options on how you would like us to proceed with your care. After this is completed, you will then be taken into the treatment room for your first adjustment. 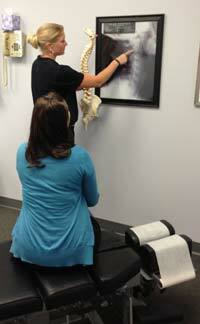 After completing your first adjustment, you will be taken back to the front desk to schedule your future visits. Reserve approximately 15 to 20 minutes for your follow up visits and/or adjustments. After signing in and being greeted by our front desk staff, you will be asked to go into 1 of our treatment rooms for your adjustment. The doctor will always check with you before treatment how your responses are from the previous adjustment and will also make recommendations on things to do or not to do between visits to our office.